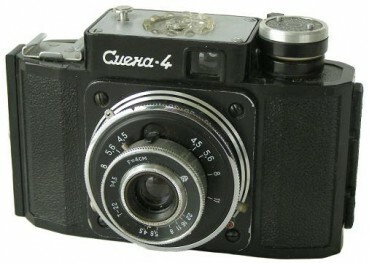 Smena-4 was the last Smena camera with bakelite body. Since 1961 GOMZ used thermoplastic instead of bakelite. PK2205. 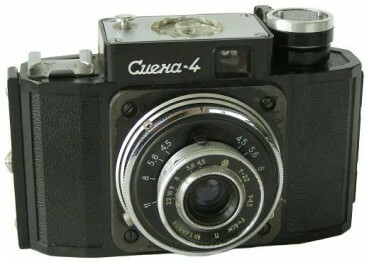 Camera with film advance lever. Can be found with plastic (common) or aluminum frame counter. 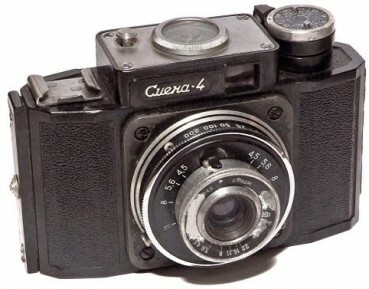 The particular camera has serial number, engraved in white on the closing bar. No platform for name markings yet (see picture below). PK2210. Camera with film advance lever again. Very similar to PK2205. Serial number on the closing bar. Already with single platform for name markings (see picture below). PK2215. Another version with film advance lever again. Name markings in small Cyrillic characters. The double raised platform for name markings, like the decorative rim (see picture below). PK2220. Camera identical to PK2205, but with serial number on the lens. No platform for name markings again ...(see picture below). PK2225. 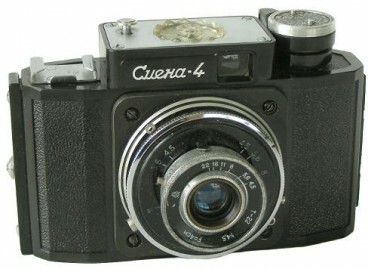 Camera identical to samples above, but with aluminium frame counter already. The double raised platform for name markings with round corners. Camera from Juhani Halmeenmaki (Finland) collection.